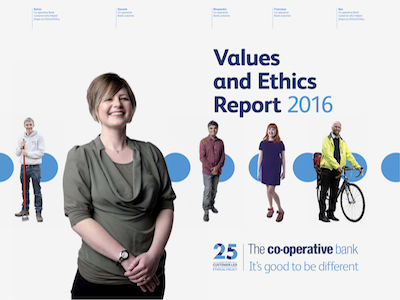 The Co-op Bank released its latest annual Values and Ethics Report earlier in the summer, looking back at its performance against its ethical commitments over 2016. After months of uncertainty about the bank’s future, the report is a reminder that behind the scenes the bank’s staff have been doing their best to make sure it’s ethical business as usual. The report details the seven businesses the bank declined to finance for breaching the Ethical Policy, of which the largest group were involved in the oil and gas industry. It also reveals that there is a new Ethical Policy review on the way, which will give us the chance to input again on the bank’s ethical priorities. And there’s also some welcome reporting on the bank’s approach to account closures for risk management purposes, an issue we have been very concerned about. However, in our assessment this reporting falls a little short of “warts and all”. You can read our critical review of the report, and a few things that are missing from it, here. Help support this kind of analysis by making sure you’re a member of the Customer Union, for just twelve pounds a year. Save the Date: Our next gathering is planned for November 18th. We’re busy planning for the next Gathering of the Customer Union for Ethical Banking in Manchester, where we will discuss member views on the direction and strategy of the organisation after the Bank’s recent restructuring. The date for your diary is Saturday, November 18th. 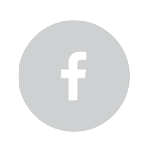 We’re planning to allow members and supporters to join remotely. Stay tuned for more details soon! In our last newsletter we updated you on the £700m rescue deal that the Co-op Bank arranged with its owners, which will see the ownership of the bank by the Co-operative Group reduced to only one percent, but also shores up the bank’s capital position and allows it to continue as an independent entity. The rescue deal has now been formally completed - at some cost to investors notes the Telegraph. We’ve also arranged to meet with the bank later this month to seek details on how it will live up to its cooperative name in future, and to discuss how we can work with the bank on ways for customers to have a real say in decision-making there. We’ll let you know the results in our next newsletter. After this meeting, we'll consult with Customer Union members, as we've committed to do from the beginning of this process, on whether to support this deal. So make sure you are a member, so you can have your say and a vote.